The Vancouver Park Board began spraying 70 hectares of city and park lands on the weekend in hopes of eliminating the voracious Japanese beetle. 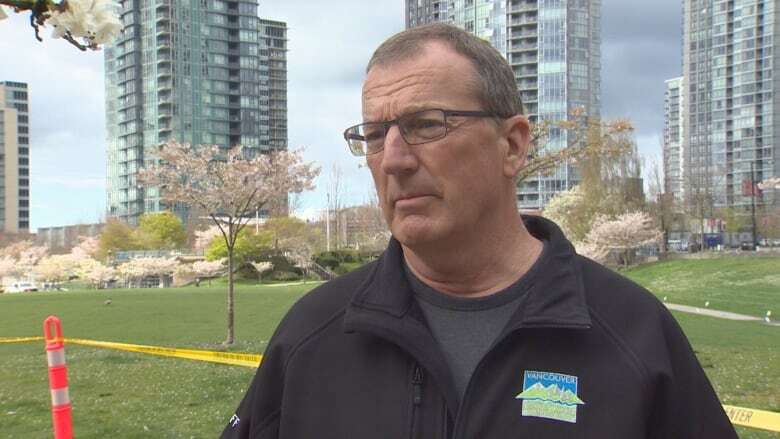 Vancouver's Park Board closed down a park in the city's core Sunday as the first step in a spraying program against a destructive and invasive beetle. Japanese beetles, Popillia japonica, were first discovered in B.C. in Vancouver's False Creek in 2017. It is an invasive pest that feeds on the roots of grass and the foliage of more than 300 plant species, ultimately causing the plants to die. Howard Normann, the director of parks for Vancouver, says the beetle is a real threat to a variety of plants. "It has the potential to do a lot of damage. And not just to the trees you see here, but to other crops around the Lower Mainland," he said. "They will basically strip the foliage off a plant pretty quickly." The beetles fly and are able to cover great distances in search of food sources. The Park Board is using a Japanese-beetle specific insecticide, called Acelepryn, to battle the pest. 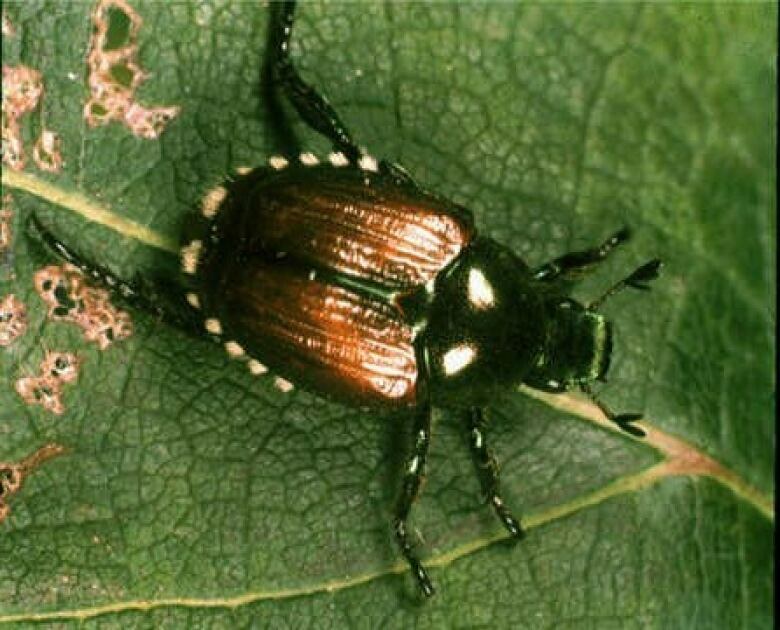 Normann says the insecticide doesn't affect bees, butterflies, animals or people, but targets the larva of Japanese beetles, which overwinter in soil. 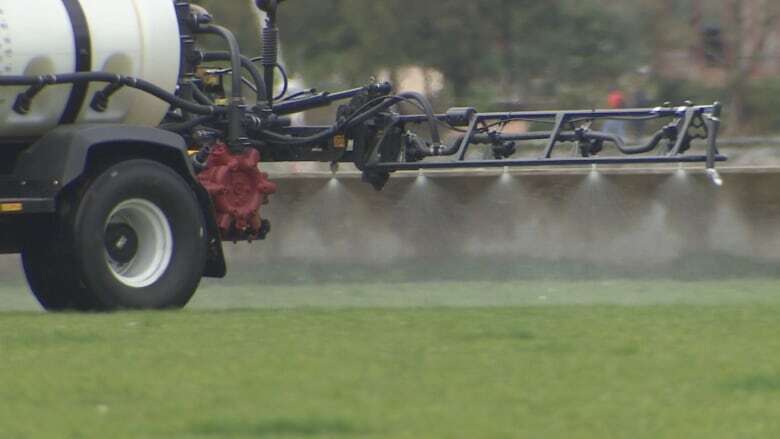 Workers not wearing masks or any discernible protective clothing began spraying David Lam Park on Sunday, marking the beginning of their eradication efforts. In all, the Park Board plans to treat 70 hectares around the city, which include the downtown area, West End, Strathcona, Mount Pleasant, Fairview and Kitsilano. Since the beetle was discovered, the City of Vancouver along with the province and the federal government have worked together on measures to prevent its spread. They've sprayed larvicide to kill the grubs, trapped adults, restricted the movement of plants and soil and have asked people to report sightings.